Delineato Pro is a Mac App developed byWow!Systems LLC & Fapptory Lda. 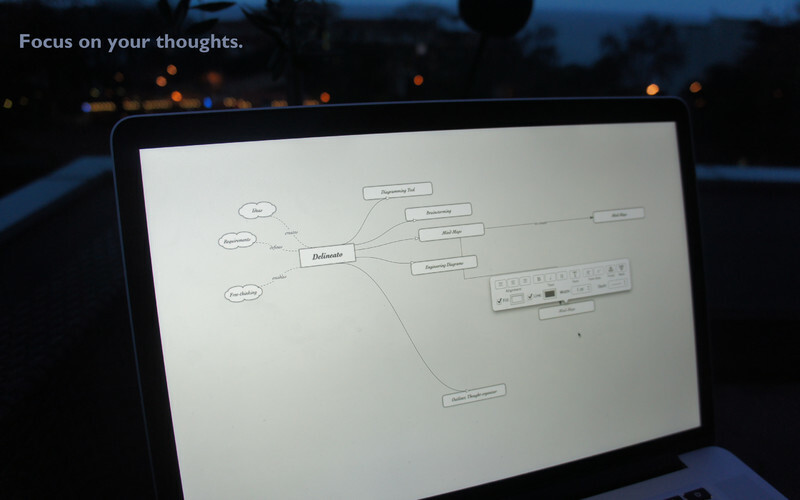 This mind-mapping and brainstorming tool is the professional edition of Delineato, named after the italian word for “outline”. 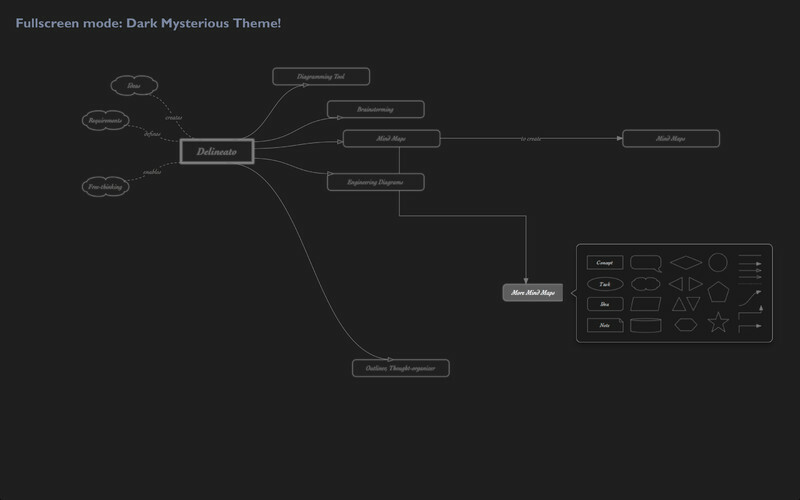 This should go without saying, but a good brainstorming and mind-mapping interface should be clutter-free. The idea is that you need a clean space to fill with your mind maps. 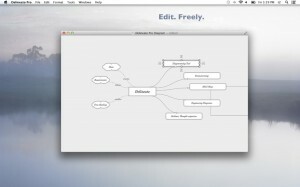 Delineato Pro, thankfully, has a great clutter-free interface. It’s worth mentioning because some similar apps have interfaces that are way to cluttered and busy. You can also work in fullscreen mode, ensuring that you give your full focus to your project. In addition to sharing your projects via Twitter, Facebook, and e-mail, you can also share your Delineato Pro creations in a variety of formats. In Delineato Pro, you can export transparent or opaque diagrams as PDF, EPS, or JPG files. I really like how clean the Delineato Pro interface is. You can work in your choice of dark colors, or a light grey palette the developers describe as “stylish.” I do wish the app as a whole had a bit more color to work with. For people who are obsessed with color-coding, it would be a big help. 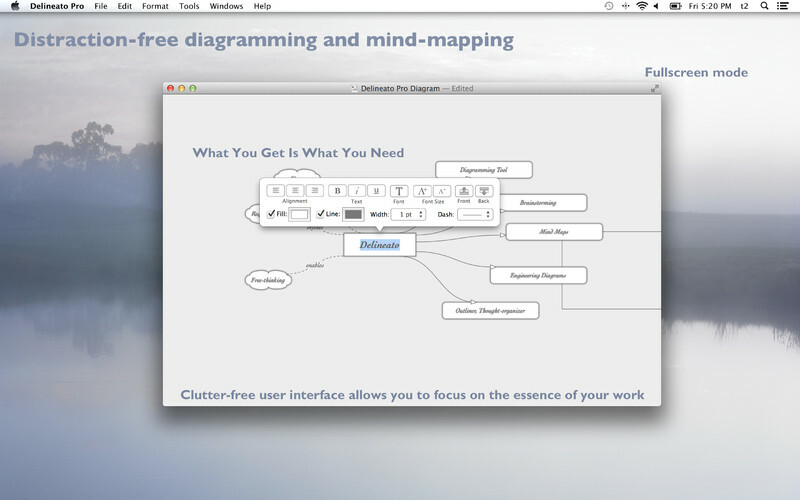 If you need a great option for building a mind map, recording your brainstorming results, or organizing your thoughts, Dealineato is a solid tool for Mac users. The tools are simple to drag and drop, and adding links and shortcuts couldn’t be simpler. 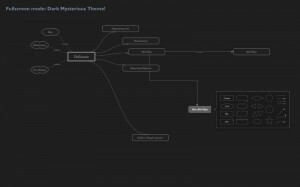 This great app takes a jumbled mess of ideas and turns them into something elegant, easy-to-follow, and presentation-worthy. 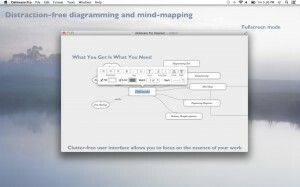 If you love Mac Apps that are committed to elegant, minimalist design, this mind-mapping tool is well worth the cost. Delineato Prois Mac App with the following system requirements: OS X 10.7 or later,64-bit processor.